Photo provided by a Lake and McHenry County Scanner follower. Zion police said that a federal agent shot and killed a man who approached the agent sitting inside of a car after the man displayed a gun. Police were called to a report of a shooting at 6:09 a.m. Thursday in the 3000 block of Ezekiel Avenue in Zion. Police arrived and found a man with a gunshot wound. The man was pronounced dead at the scene by paramedics. 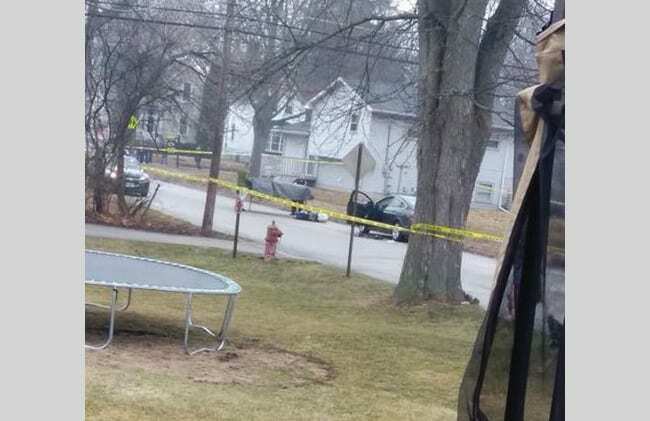 The Zion Police Department said that a federal agent, whose agency has not yet been identified, shot the man after he and several other subjects approached the agent who was sitting in a car. The man was wearing a bandana over his face and displayed the handgun to the agent, according to police. The federal agent then fired a handgun through the car’s window, striking the man. The other people who were with the man fled the area. A handgun was recovered from the scene, officials said. The federal agent was transported to the hospital for evaluation. No Zion police officers were involved in the shooting or at the scene when it occurred. The incident remains under investigation by the Zion Police Department, Illinois State Police and federal authorities. Anyone with information is asked to call the Zion Police Department at 847-872-8000.